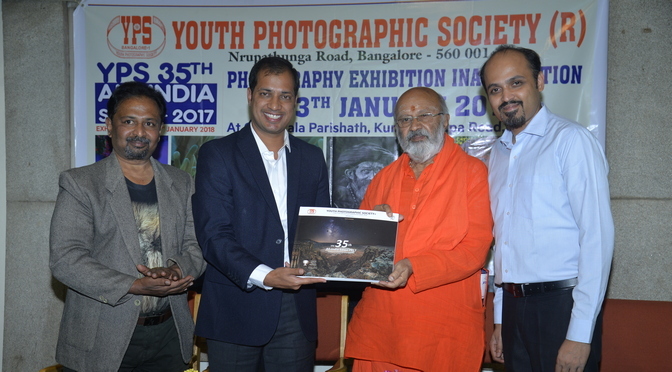 Dawn of new year 2019 saw lots of celebration all over the world and YPS, Bengaluru continued the celebration mood till 6th January 2019 by presenting some exquisite images from 36th All India Digital Salon 2018 at Venkatappa Art Gallery on Kasturba Road, Bangalore. 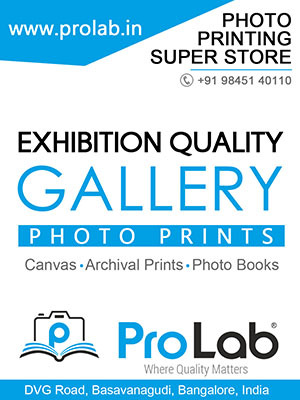 The images which got awarded in the Salon were printed and framed were exhibited along with digital display of all accepted images using a High Definition Television. The exhibition was thrown open to the public between 11 am and 7 pm on 5th and 6th January 2019. 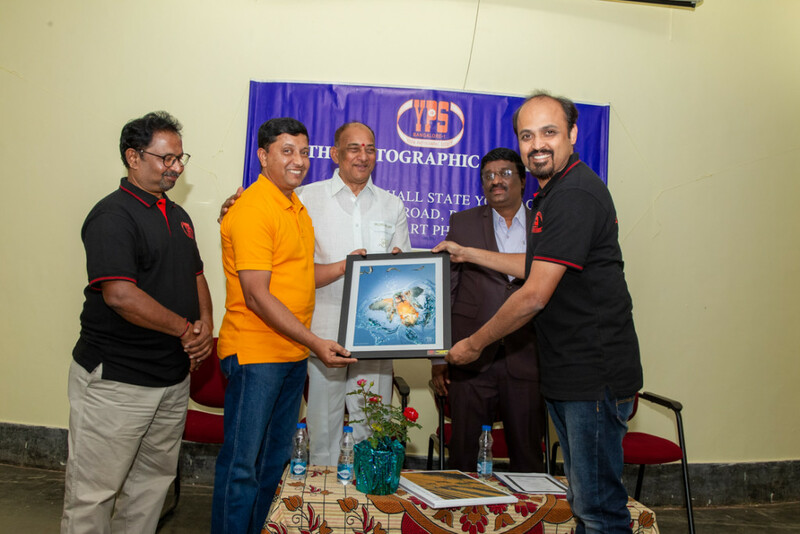 The exhibition received appreciation by one and all for top class images displayed as also for the wonderful layout and presentation. 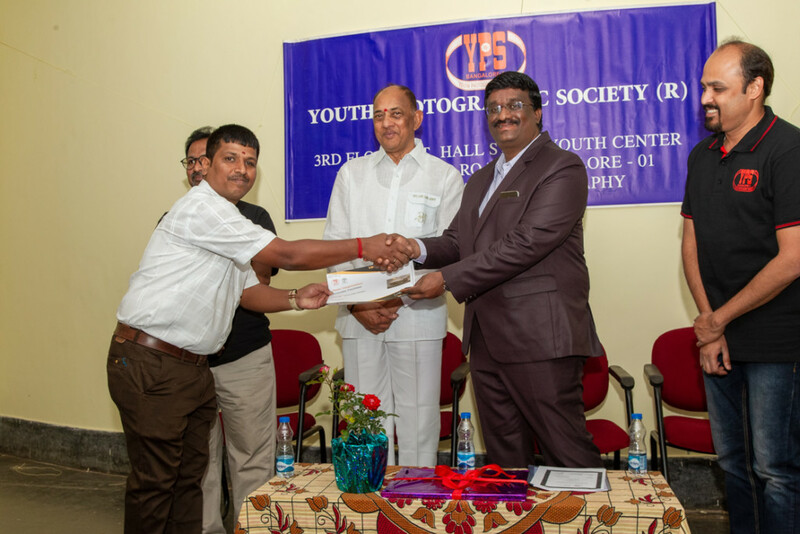 The awarded images from Youth category displayed in the exhibition also received appreciation. 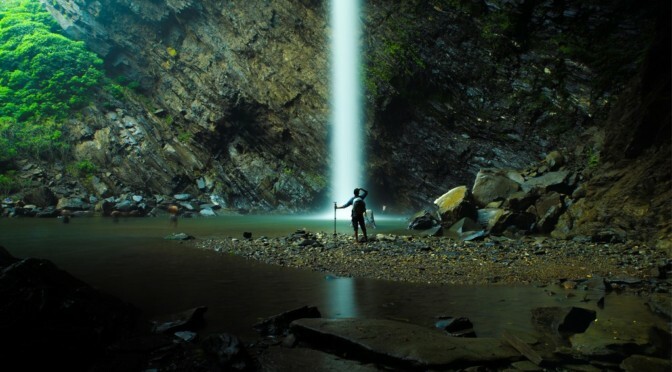 There was steady inflow of viewers on both the days including some visiting foreign nationals who expressed their appreciation whole heartedly. 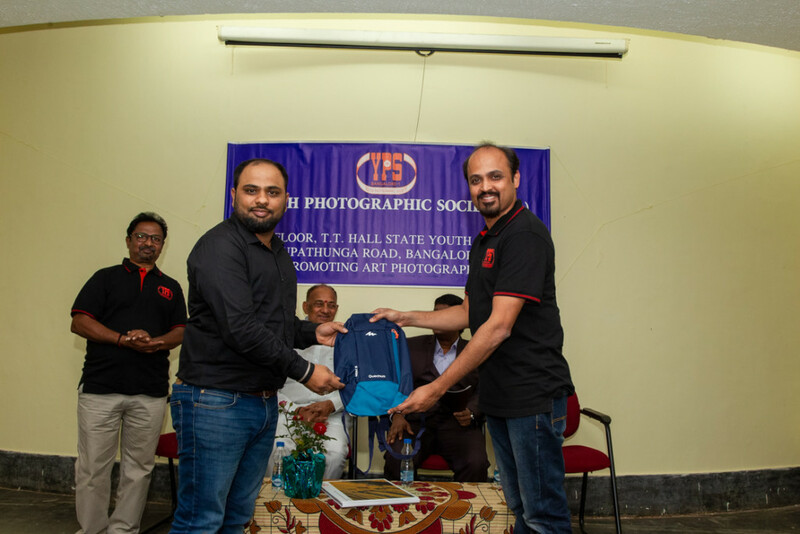 Evening of 5th January 2019 a presentation on Table Top photography by very creative and passionate photographer Shri. 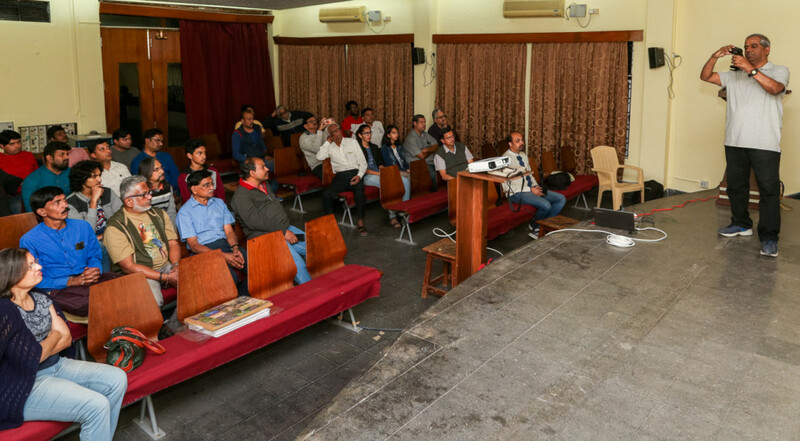 Vinod Sunder was organised for the benefit of members. It was indeed a very unique presentation encompassing some very creative form of lighting and compositions. 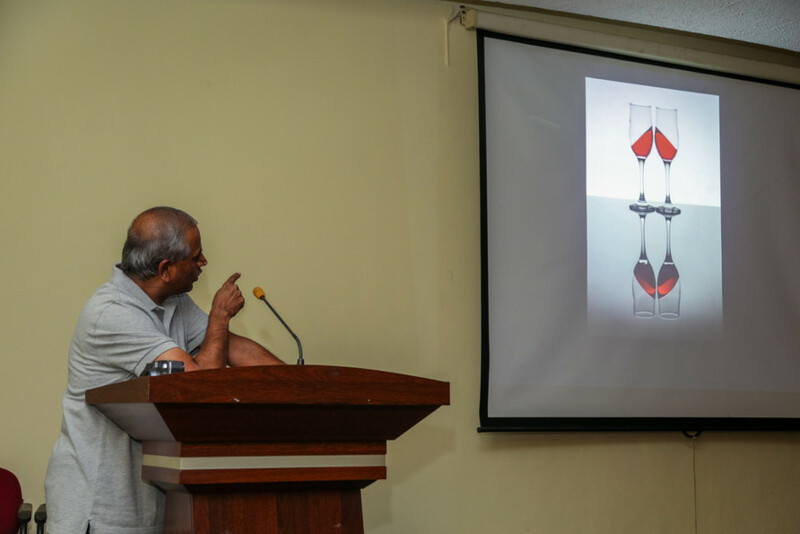 The pictures of glass-ware mesmerised the members and it was further astonishing to know as to how he had created those wonderful images. His works using miniature toys to create some awesome images giving innovative titles left the audience in a trance. Shri. 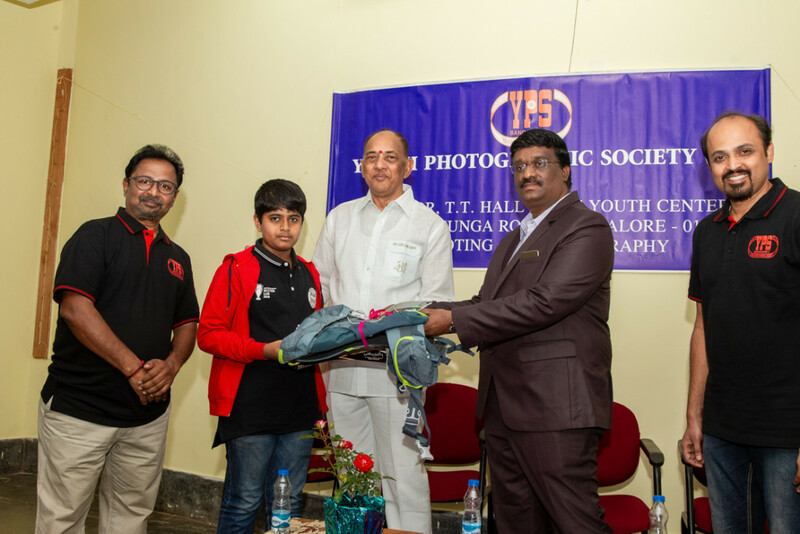 Vinod Sunder shared the techniques used to create his images and also displayed his gear accompanied by explanation as to how one can use simple properties readily available in everyone’s house to create magical images. He also gave tips and revealed the source of his miniature toys used to create those images. 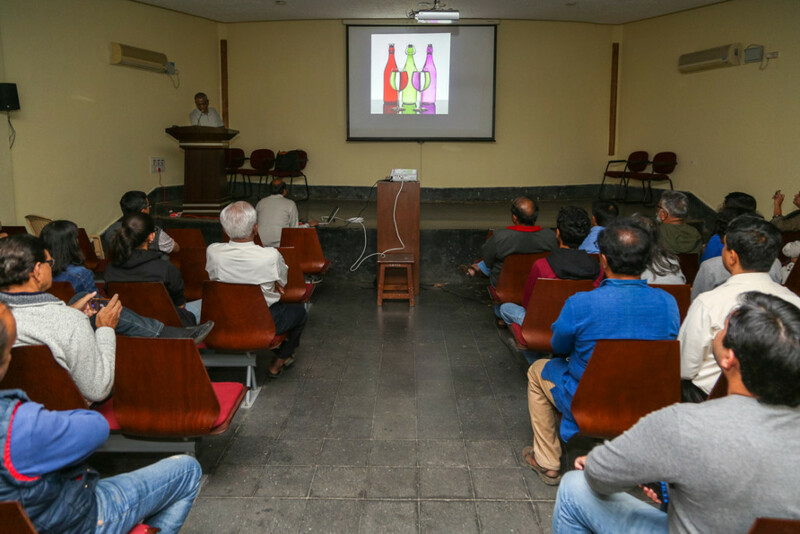 The presentation was really inspiring and no doubt many of the people present would have gone back with a thought of experimenting and to start clicking some table tops themselves. He mentioned that carpentry was his other passion and narrated how he made a storage cabinet for himself. 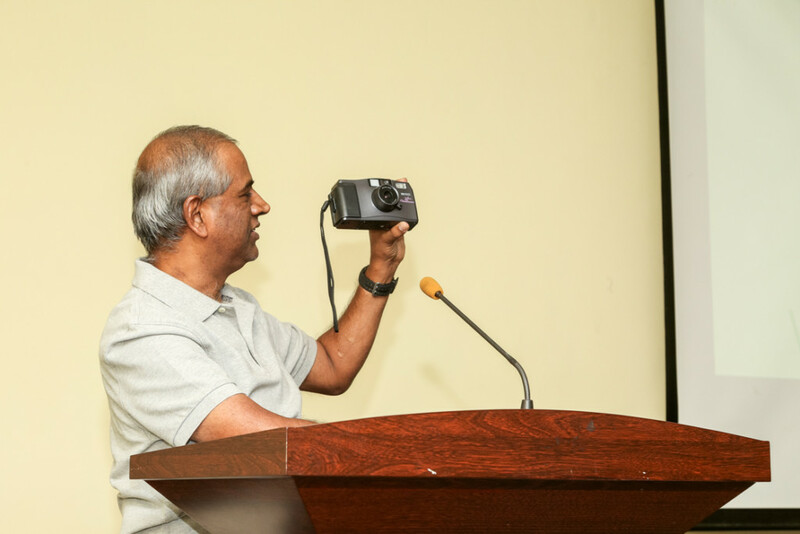 Interacting with the audience, Shri. 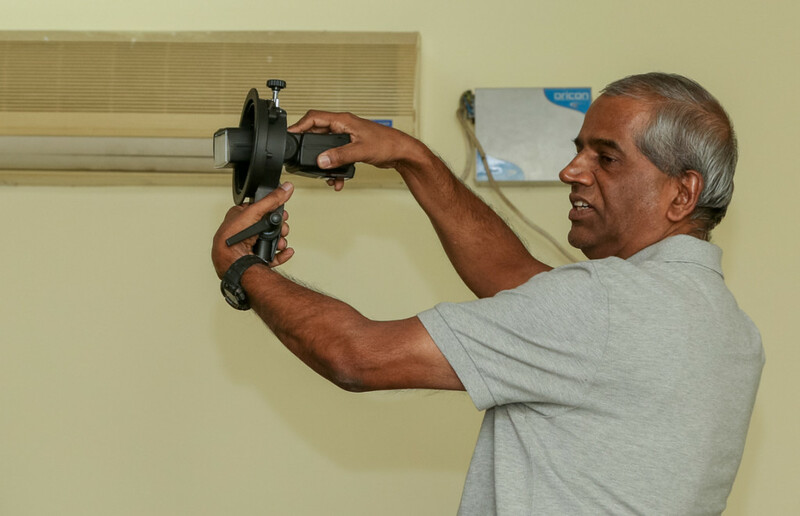 Vinod Sunder stated that he does all the work only for his satisfaction and show cases them only before his friends and on his website, and not for monetary gains. He fondly mentioned that he was able to pursue his passion only because of co-operation received from his wife. 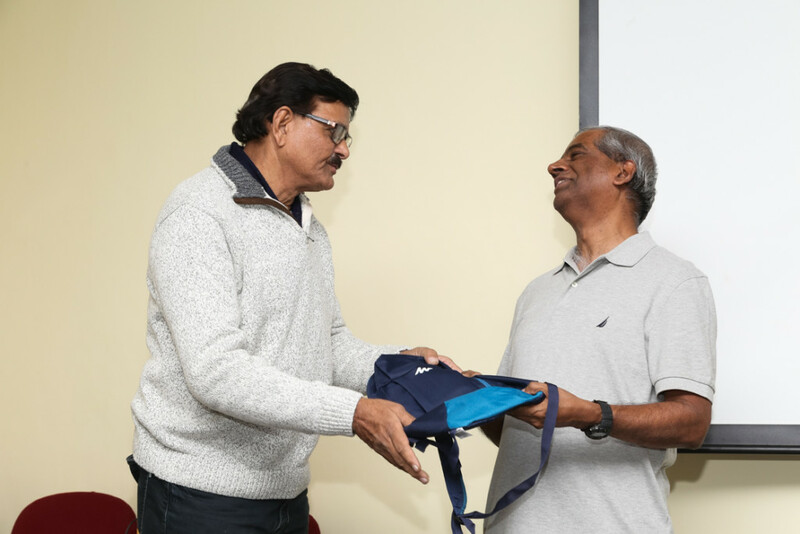 The presentation was well received by the audience and appreciated as well. Shri. 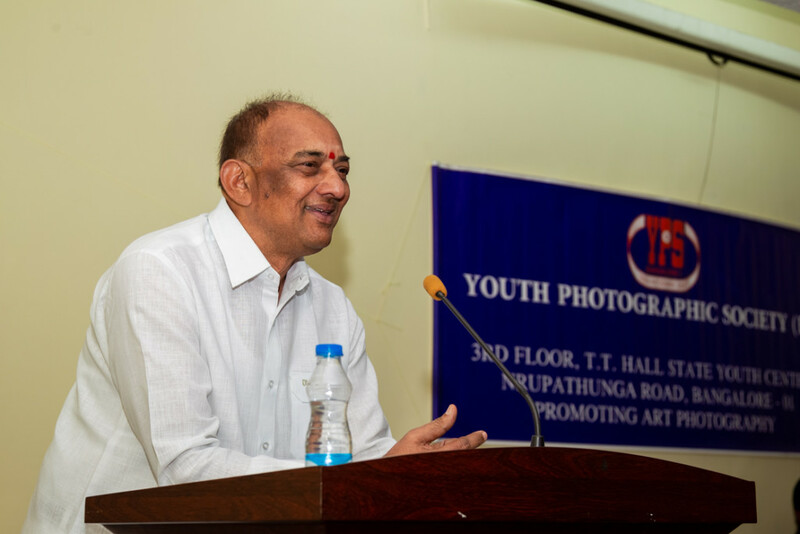 K.S.Rajaram senior member of YPS expressed his heartfelt thanks to him for giving a superb presentation. Shri. 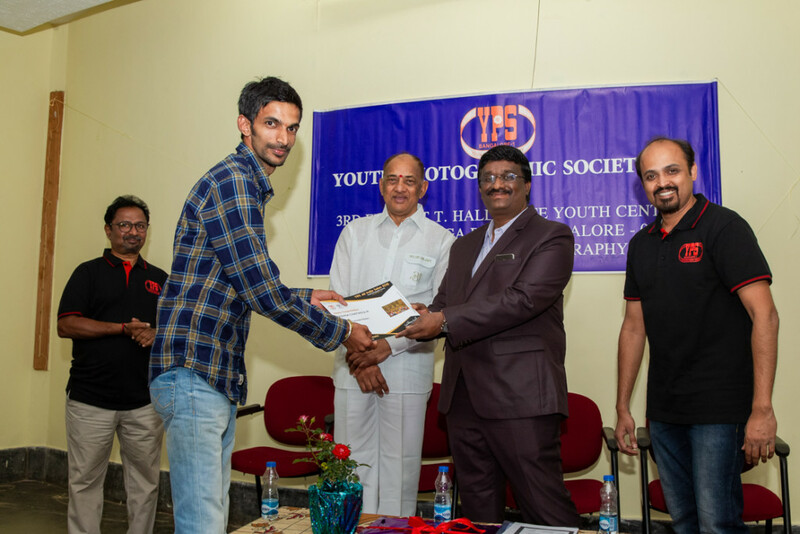 Madhu Kakade another member of YPS also expressed that it was a fantastic presentation. 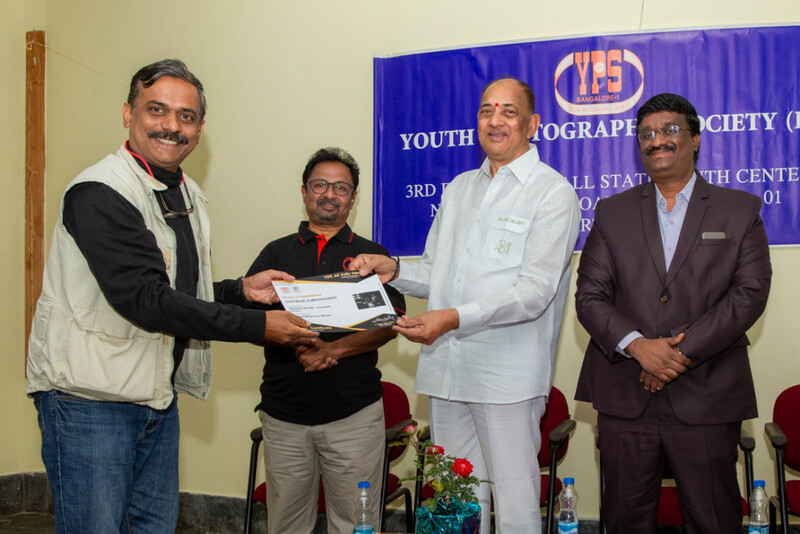 Award function was held at the venue on 6th January 2019 at 11 am to present various awards to the winners in YPS 36th All India Digital Salon 2018. Shri. 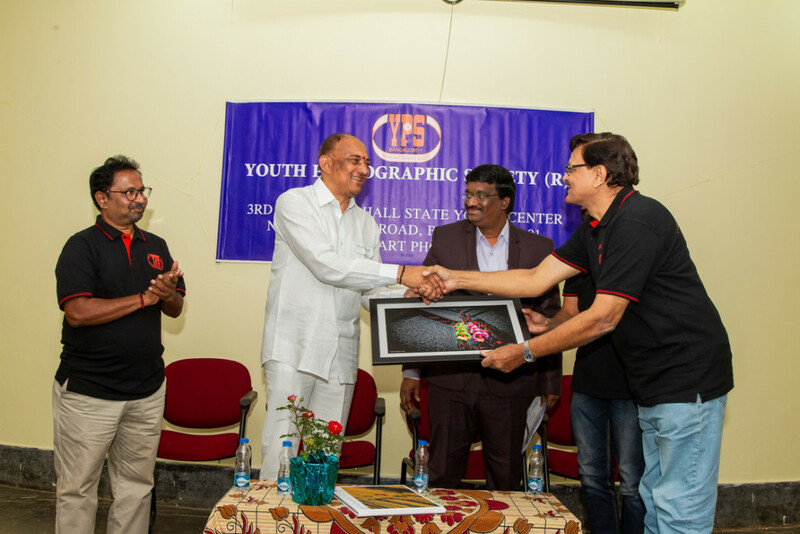 Om Sai Prakash well known cine Director and Shri. 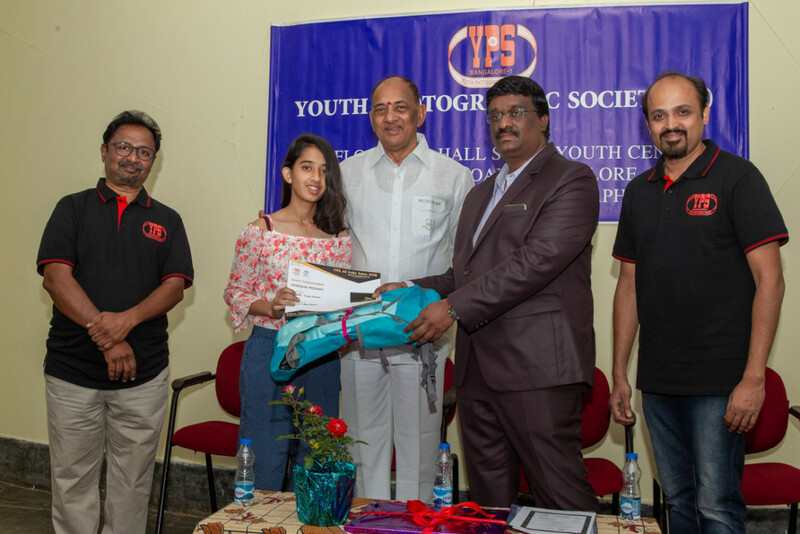 K. Srinivas, IAS, Commissioner, Youth Empowerment and Sports, Government of Karnataka graced the occasion as Chief Guest and Guest of Honour. The event opened with a devotional song by Shri. Girish Ananthamurthy to invoke blessings of almighty. Shri. 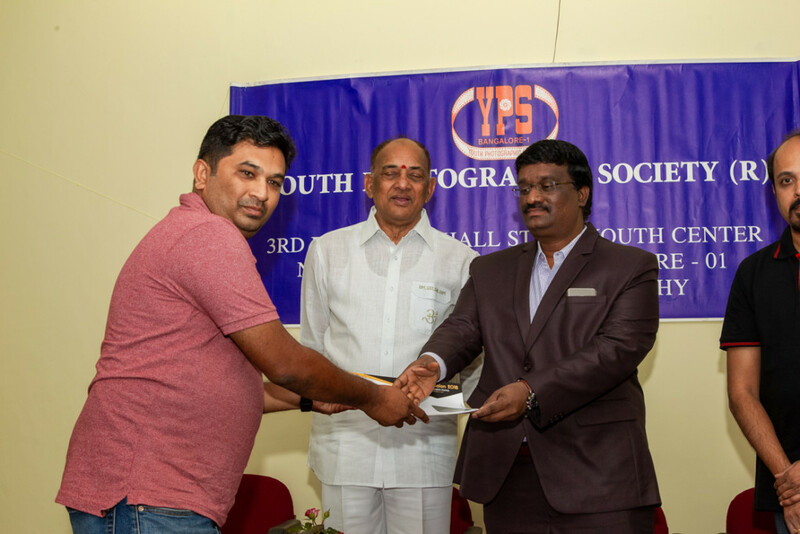 H. Satish, President, YPS welcomed the gathering and recognised the presence of various senior members of YPS and recipients of awards & their family. The accomplishments of Shri. 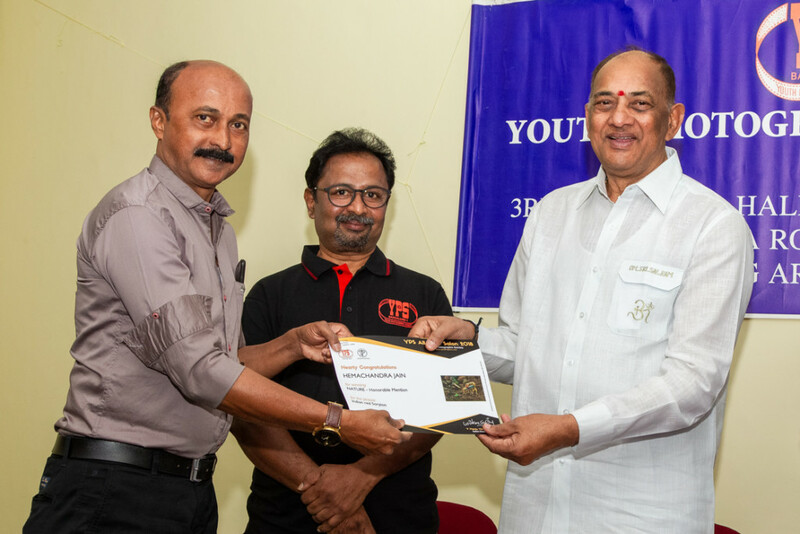 Om Sai Prakash in his career as Cine Director was appreciated by Shri. 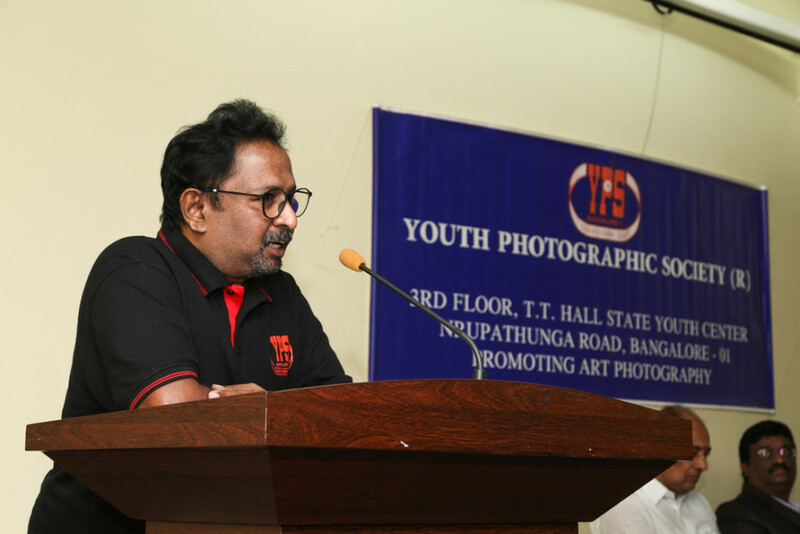 Satish during his address. He also gave career highlights of Shri. 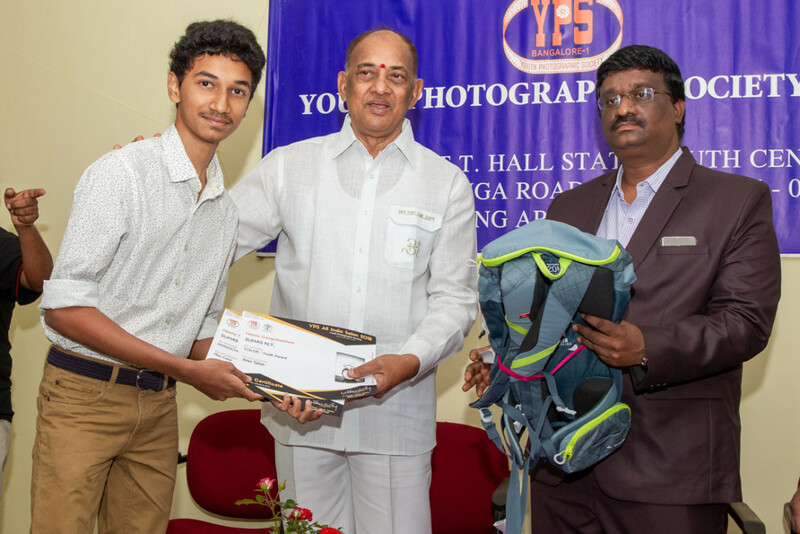 K. Srinivas, IAS. Shri. 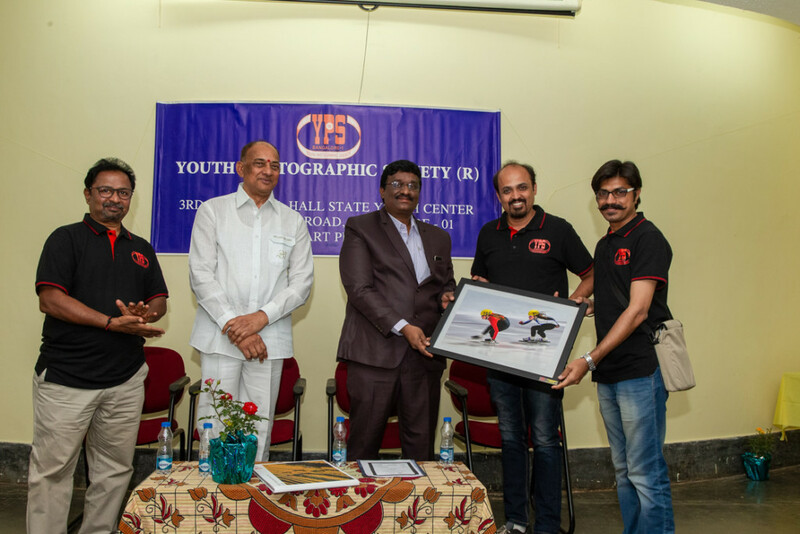 Satish expressed desire to provide some framed pictures to Youth Centre for display if permitted by Shri. 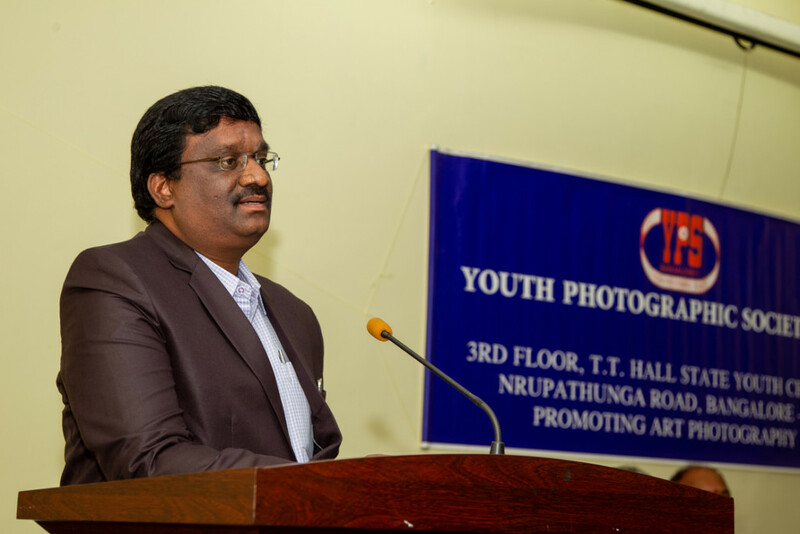 K. Srinivas, Commissioner. Shri. 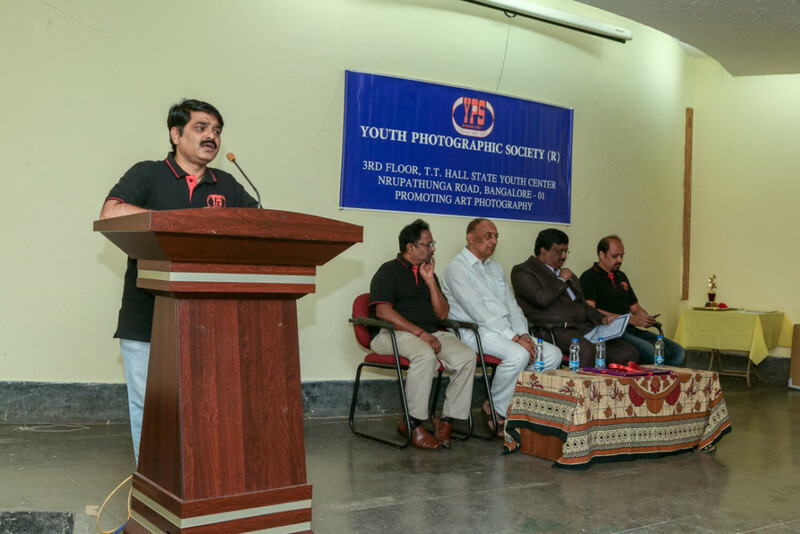 Satish gave an account on the functioning of YPS over the last 47 years and appraised the gathering about the recent achievements of YPS in bagging 22 Best Club Awards including two from overseas Salon by its dedicated members who participated in various Salons bringing accolades to YPS. 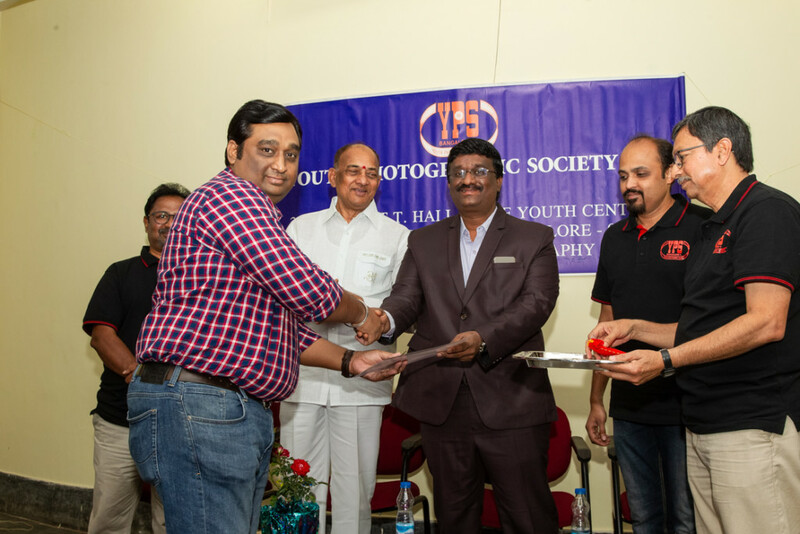 Moving on Girish Ananthamurthy, Salon Secretary announced the winners of Salon under various categories and requested the distinguished guests to do the honours of presenting the awards. 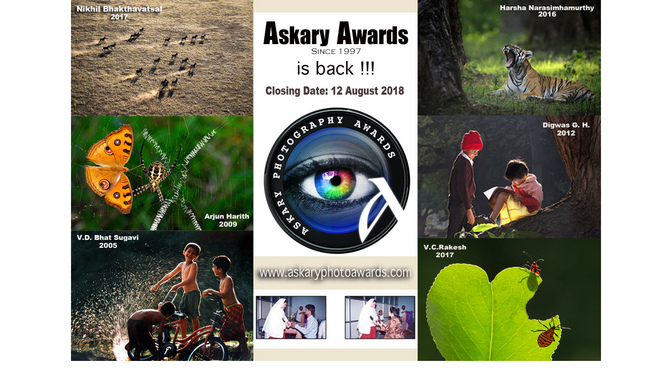 It was nice to note the happiness in the eyes of award winners especially the young winners from Youth Category. 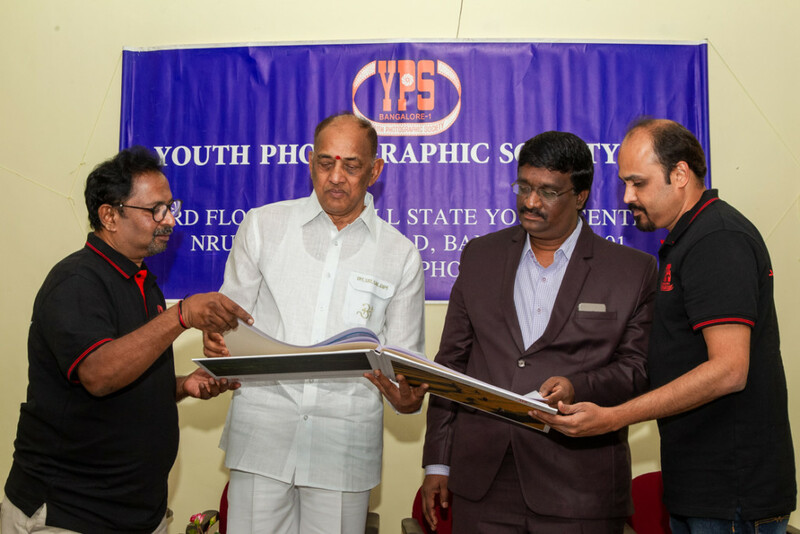 The beautifully printed Salon Catalogue was then released by the guests Shri. Om Sai Prakash and Shri. 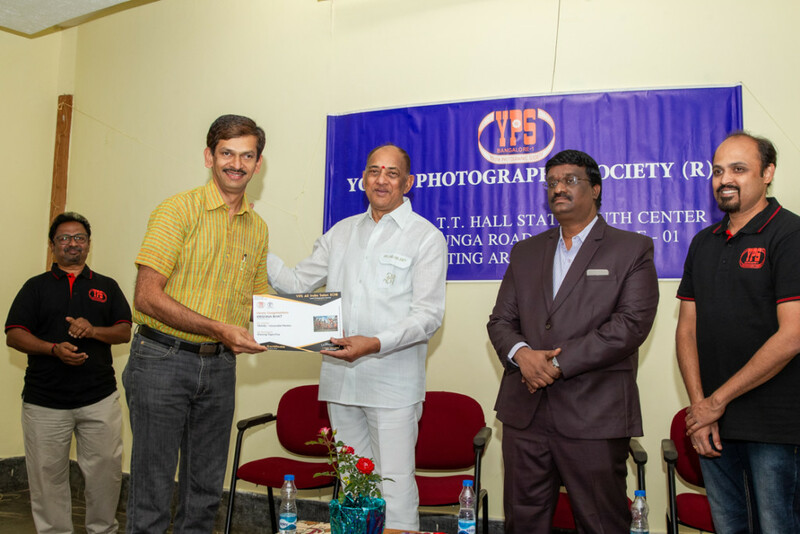 K. Srinivas, IAS. 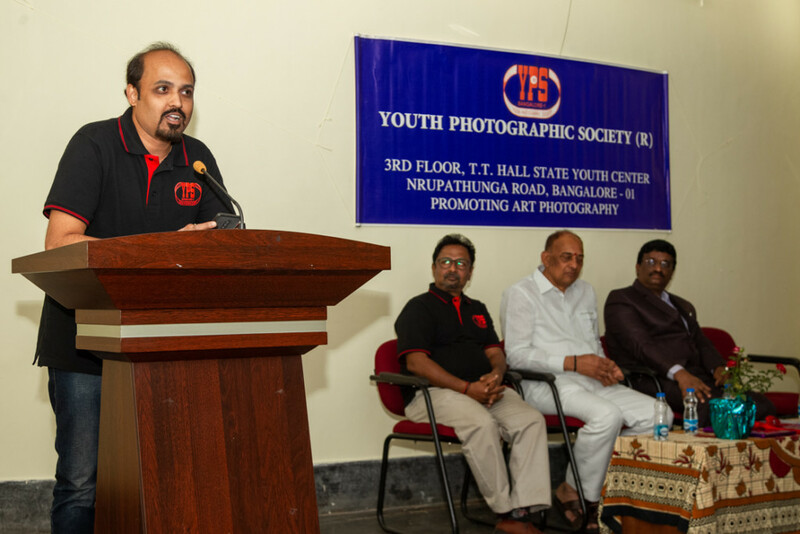 It was now time to hear the guests speak out their heart who appreciated the work undertaken by YPS and the images displayed at the exhibition. Shri. 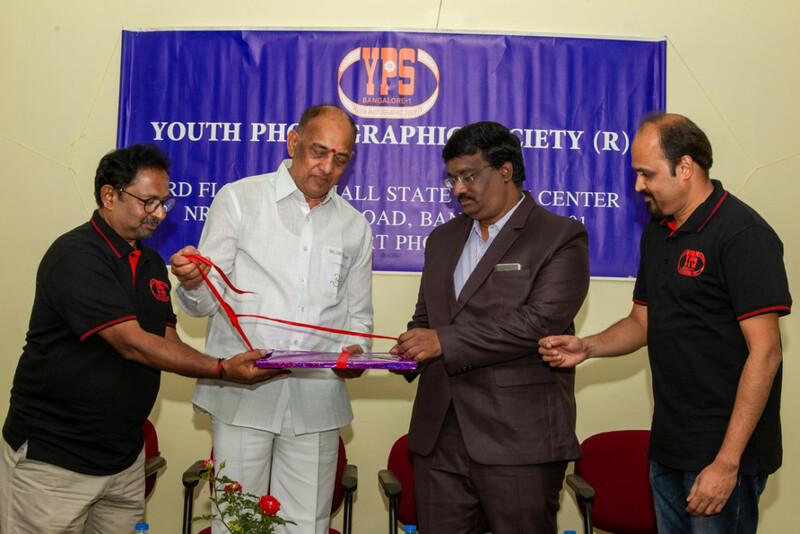 Om Sai Prakash in his address mentioned that he experienced festive mood at the exhibition, and shared his thoughts as to how photography was first means of assessing prospective locations for his film shoots. 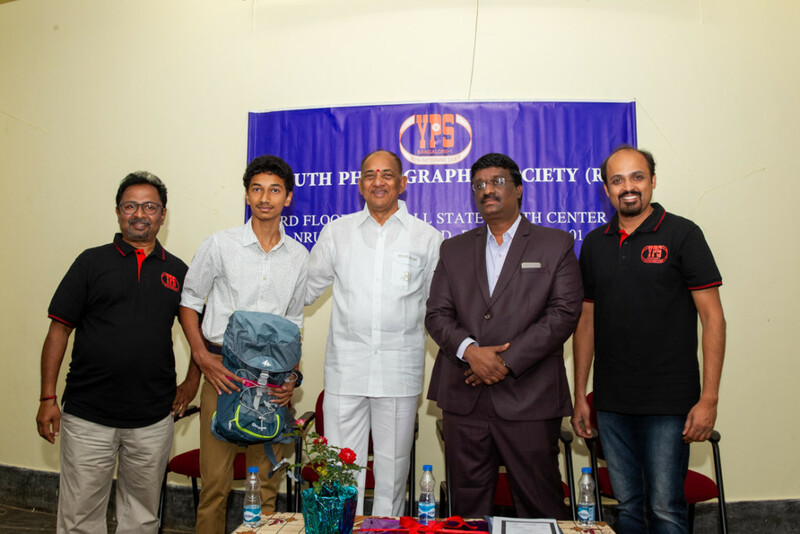 He expressed that he was very much impressed with event and that it has sparked a new idea in him to create a character in a film keeping photography as a subject and that one day he shall fall back on YPS for his needs. Shri. 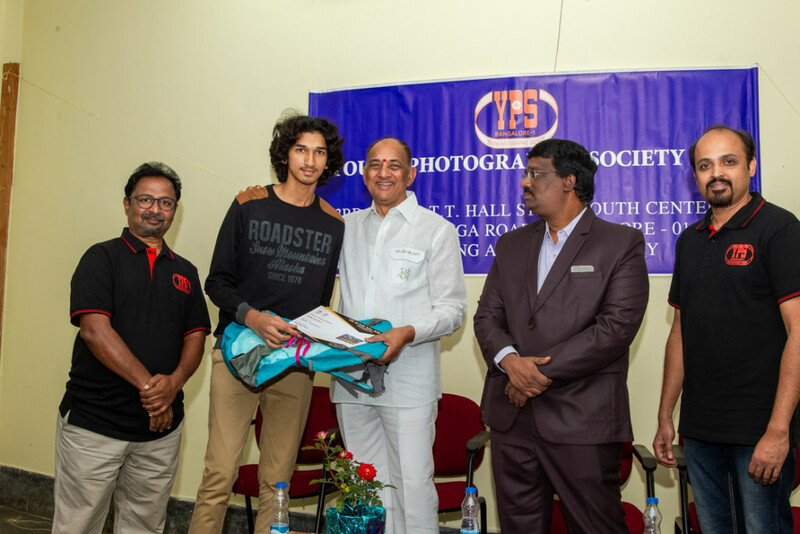 K. Srinivas in his address mentioned that he has grown up watching films of Shri. Om Sai Prakash. 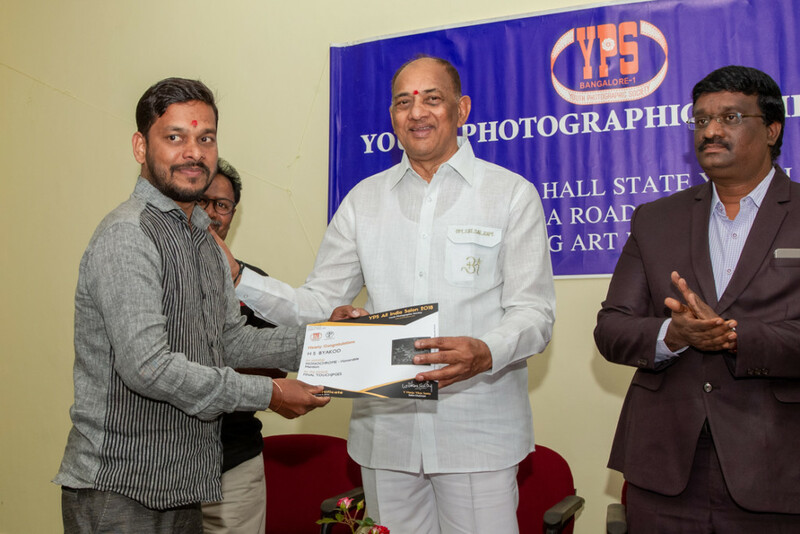 He welcomed the offer given by Shri. 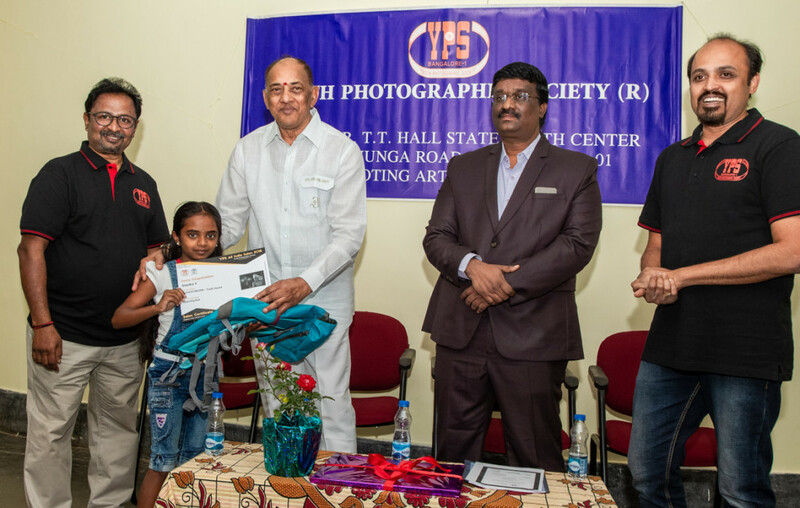 Satish to showcase pictures in his office premises to inspire others to take up photography. 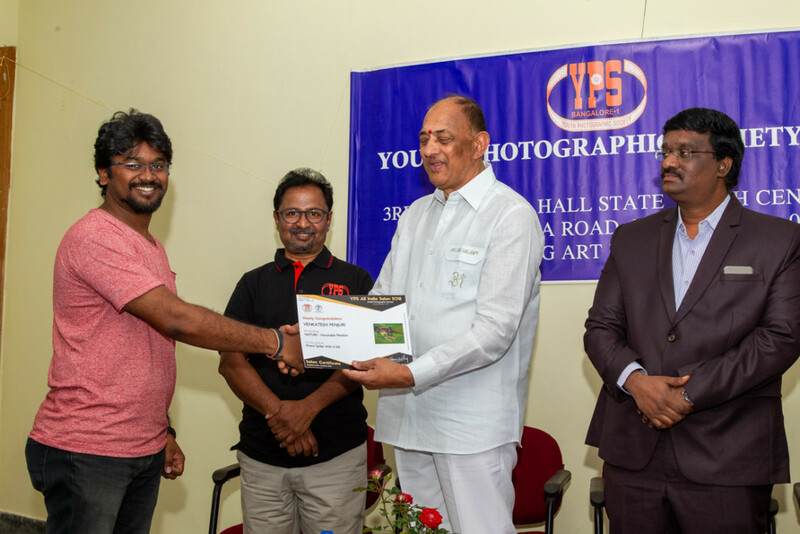 He also appreciated the work of YPS in encouraging youth in the field of photography and stated that he shall extend support to YPS as and when required to the best possible extent. Shri. 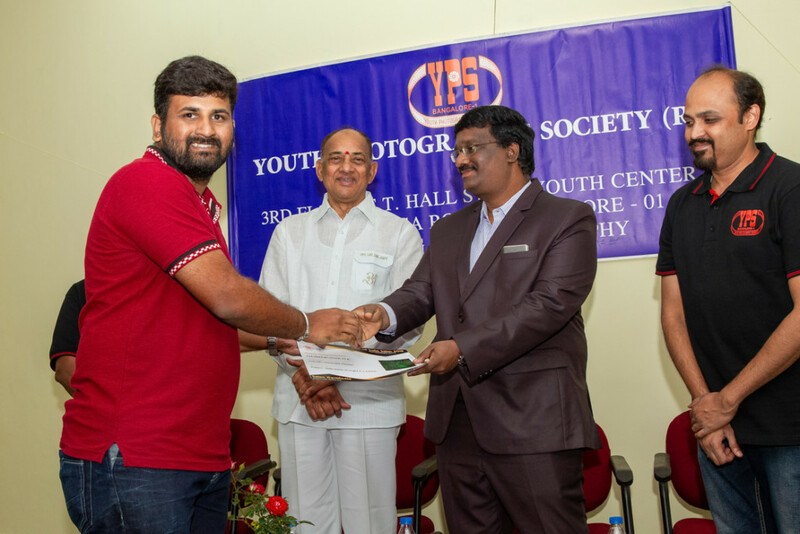 Girish Ananthamurthy took upon the opportunity to express gratitude and heartfelt thanks on behalf of YPS to all the sponsorers of cash awards to the winners in the Salon. 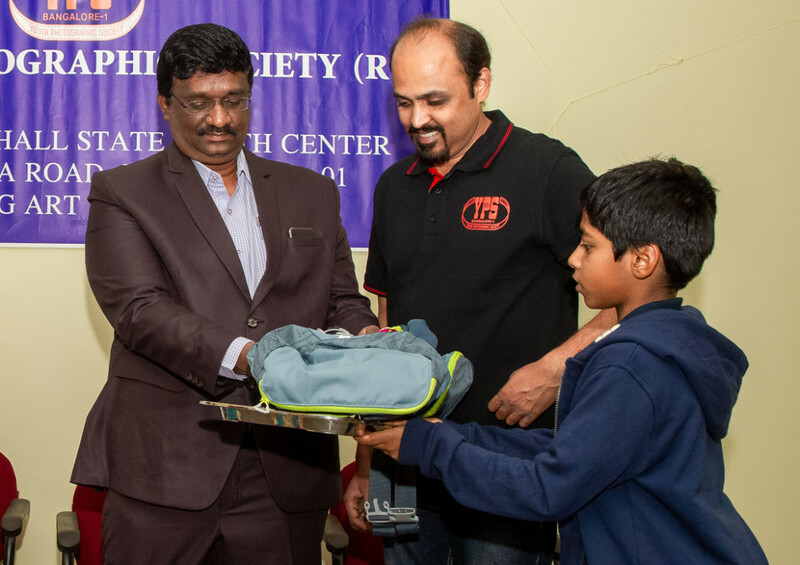 Mementos as a token of appreciation was presented to each of the sponsorer by Shri. Manju Vikas Sastry. 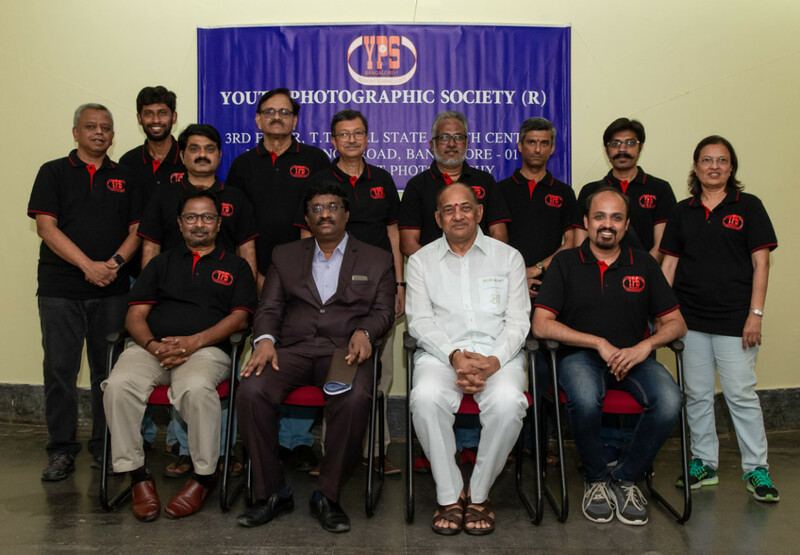 Executive Committee of YPS is striving hard to do their best to enrich the knowledge of its members in the field of photography and undertakes to hold useful events in the coming days. 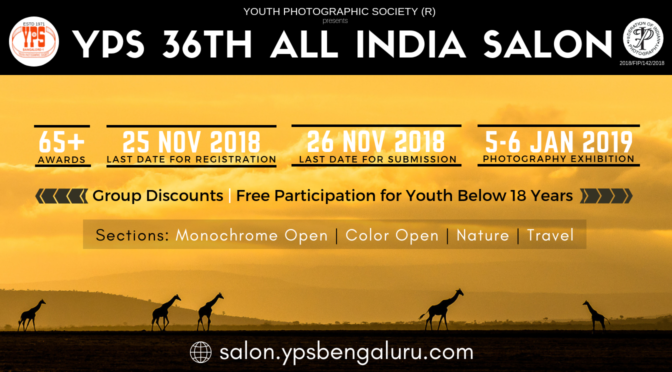 YPS is gearing up for its 11th International Salon 2019 to be announced very soon and requests co-operation from one and all. 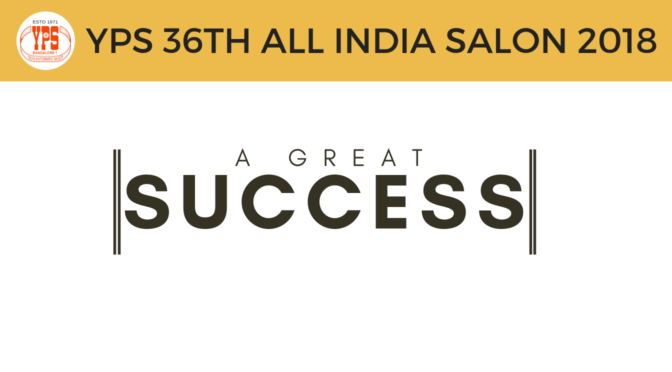 The YPS 35th All India Salon ended on a very high note with the Salon Exhibition on January 13th & 14th at Chitrakala Parishath. The large number of guests who made it to the audience made the program special.